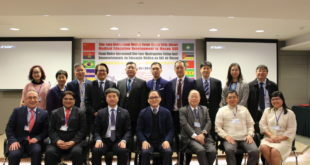 The Sino Phil Asia International Peace Awards Foundation members have been active in 2018 promoting harmony for humanity. 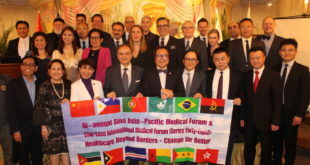 The 2018 year began with Chairman Sir Billy C. Chan expanding medical diplomacy between China, the Philippines and the world. 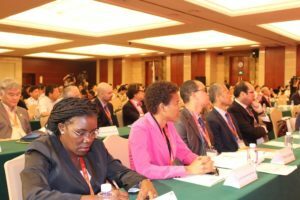 In spring, Sir Billy Chan supported a delegation of doctors from Africa to visit hospitals in Beijing and Peking University People’s Hospital, and in Macao, SAR, China. With our founding strategic partner the Rotary Club of Diliman Center D3780, Sir Billy Chan and the Executive board of trustees worked to aid dental, medical, optical, wheelchair distribution and peace promotion projects. This was done in order to reinforce our strength and bring in more support from international organizations as the Foundation evolves progressively. 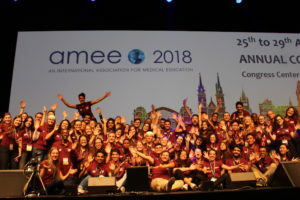 Summer further saw Sir Billy Chan and Mr. Christopher Cottrell support the International Medical Education Association (AMEE) at their summer conference in Basel, Switzerland. 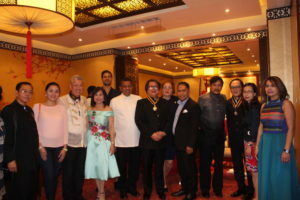 As the Secretary to the Chairman, Cottrell labored with Sir Billy Chan to set up the team of the Sino Phil Asia International Peace Awards Foundation over the summer. 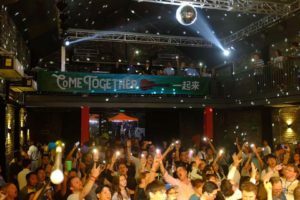 As a founding member of the Come Together Charity Concert in Zhuhai, China seven years ago for the widow and child of the Australian musician Chopper Woods, Sir Billy Chan volunteered his music band to perform every year. Chairman Chan has helped raised nearly US$ 300,000 with the Come Together Charity Concert team—and this November 2018 was no exception, entertaining over 1,500 concert goers who donated to autism and children’s charity. Following this, Chairman Chan worked with Sir Constancio S. Chico to form the World Brothers Chapter of the Knights of Rizal in November to work for patriotic peace internationally for the Philippines. 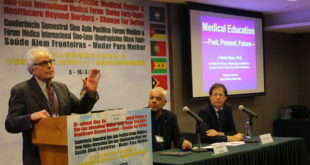 At the end of November and beginning of December, members supported an international delegation of doctors to visit and present in Davao City. 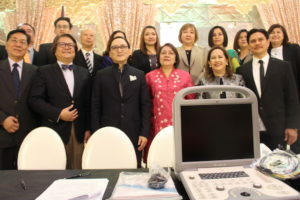 Chairman Chan aided in the donation of medical equipment to the City of Davao, Southern Philippines Medical Centre, and Brokenshire Memorial Hospital. The visit was attended by Dr. Benjamin M. Alaban, Secretary General of the Philippines Medical Association (PMA),and Dr. Paulyn Jean Rosell-Ubial, former Secretary of the Philippine Department of Health. This was also attended by the new Consul of the PRC to the recently opened Davao Consulate of the PRC. 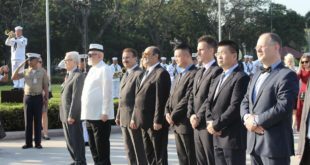 It also coincided with historic deals signed by PRC Foreign Minister Wang Yi and PRC President Xi Jinping between China and the Philippines. With the year 2019 coming into focus, members of the foundation are working hard to lay a year long track to promote peace to benefit all of humanity.